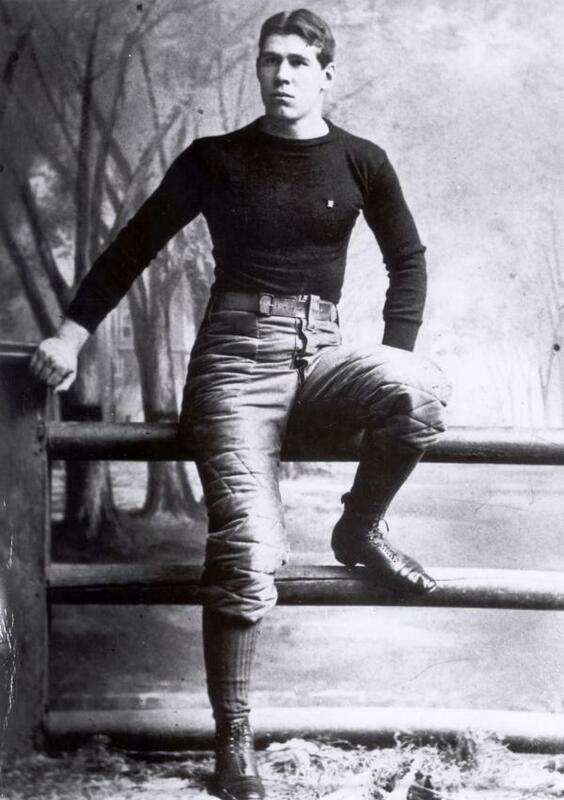 William (Pudge) Heffelfinger, the first professional football player, circa 1895. Even if William "Pudge" Walter Heffelfinger had not become football's first professional player, his reputation would have endured. The Minnesotan was a three-time All-American at Yale, where he was considered the finest player of his day, virtually creating the position of pulling guard. After college, he coached at the University of California, Lehigh, and the University of Minnesota through most of the 1890s before entering the insurance business.